Tùng Hưng specialises in Hủ Tiếu Mì Sườn. 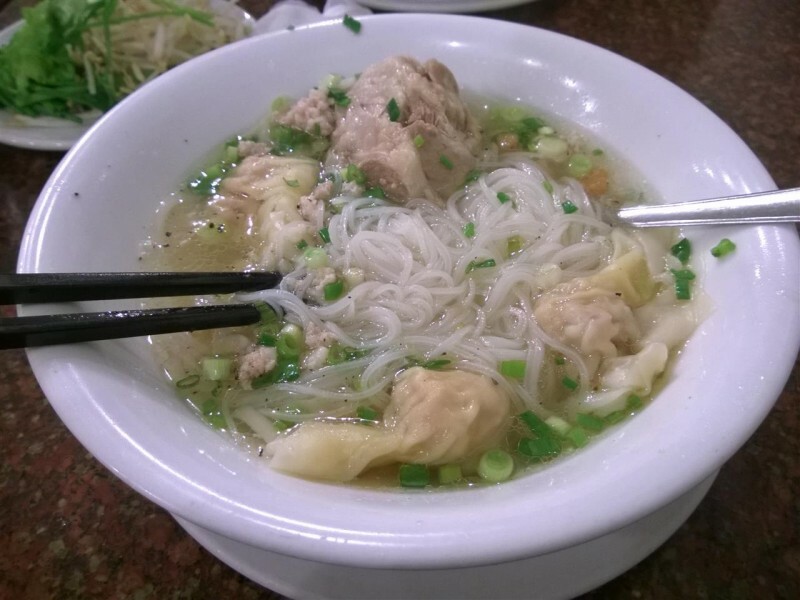 In English that translates to chewy glass noodle, egg noodle and pork rib noodle soup. It is delicious. Today’s example is furnished with won tons as well. Next time I think I will stick with the ribs though, since they were the star attraction. The delicious, tender, fall off the bone kind of star attraction that you could keep eating all day until you realise it needs soup to stay hot. Amazing. The service we received on this occasion was also surprisingly good and the eatery is clean and spacious. Cheap as could be and close to the backpacker area too.